Since signing up for The Guardians Live Better Campaign I have been watching what gets thrown and what can be used. I hate throwing food out at the best of time but now I am even worse! When I found some homemade fruit loaf which was getting past its best and a brioche roll that was going stale I knew exactly how I would use it up. No longer fresh but too good to throw away! I made Bread and butter pudding! However I wanted to make one that was a little bit different from the traditional pudding. This pudding is delicious served hot with ice cream, fresh cream or custard. It is also just as good the following day cold and a great way to use up and enjoy what otherwise would have been thrown in the bin. *DROOOOOL* This sounds absolutely delicious! This looks really good and not hard to make at all. I only have two words - OMG YUM!! Bread and butter pudding is so yummy and so versatile, I don't know why more people don't try flavour variations, you've got me thinking about what I could do now! Ooh I love the look of that, I made a chocolate and orange one recently with aplain custard and choc pieces, I like the idea of a chocolate custard. I really wish I liked bread and butter pudding as I've seen some great recipes, yours being no exception! My OH would really enjoy this. Can this be made with another type of marmelade? I'm not a big fan of orange marmelade, but love this recipe otherwise. I have to say that I tend to think bread and butter pudding is not very nice...but having seen yours I may have to change my mind! It is something I must try with gluten-free bread one day...and chocolate orange sounds like a great idea! Bread and butter pudding is a firm favorite in our house. We throw all sorts of things into it: flaked almonds, marshmallow, chocolate chips. It's actually better with old bread than fresh. We've used croissants, fruit buns/bread, brioche, you name it! And as you said - it's irresistible cold too. I end up cutting myself a slice every time I fetch something from the fridge. 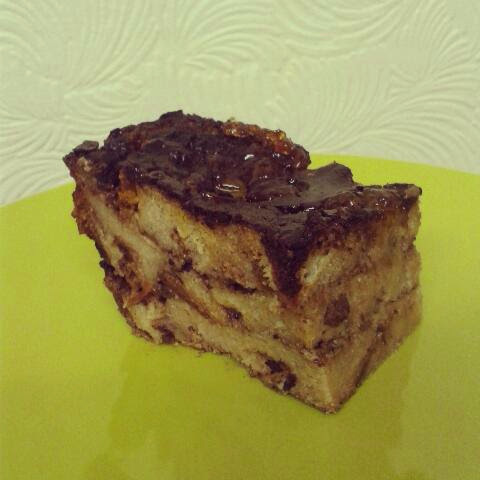 I adore bread pudding, and chucking in chocolate just makes it sound even better! This looks delicious. You can't go wrong with bread and butter pudding, and adding chocolate and orange sounds a decadent touch. I have only just seem this challenge, wish I had joined in now! Great recipe. I really (really, really) love chocolate bread pudding. Never thought about adding the orange in so thank you for this great idea and recipe - which I will try really soon! Bread pudding is stalking me! Since the morning I see pictures of bread pudding all over internet ;) It's time to make my own, yours look droolworthy! Fab idea. 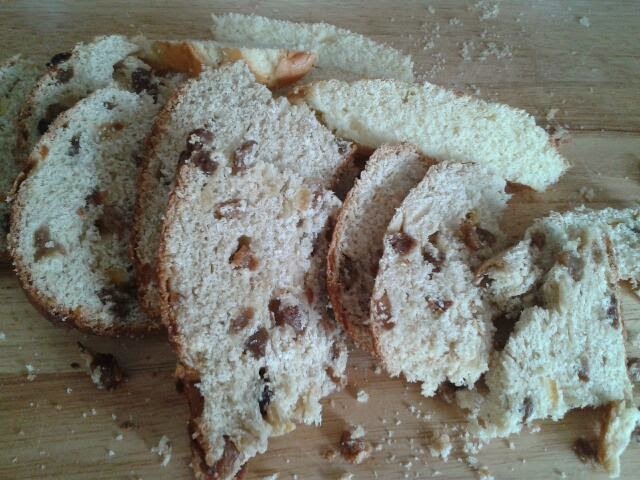 We always have fruit loaf and never quite get through it all. wow! I love bread and butter pudding, and chocolate orange one sounds even better! What a great way to "re-cycle" food!